When RockShox relaunched the Pike in 2013, its Bottomless Token system changed the way riders approach suspension setup. By swapping around plastic spacers inside the air spring to alter the internal volume, riders were afforded the opportunity to fine tune the spring curve to their liking, without need for altering oil volumes or modifying internals. RockShox wasn’t the first brand to offer user-adjustable air volume for its forks and rear shocks, but what it did deliver was a simple and easy-to-understand system, that has since been, err, ‘reimagined’ by other brands including Fox, Manitou, and DT Swiss. Although this volume spacer system has increased the scope of adjustability with modern forks and shocks, a couple of suspension specialists have decided that they could go one better. Those brands include Vorsprung Suspension, SD Components, and MRP. The Ramp Control Cartridge replaces the top cap and Bottomless Token system inside a compatible RockShox Pike, Lyrik or Yari fork. 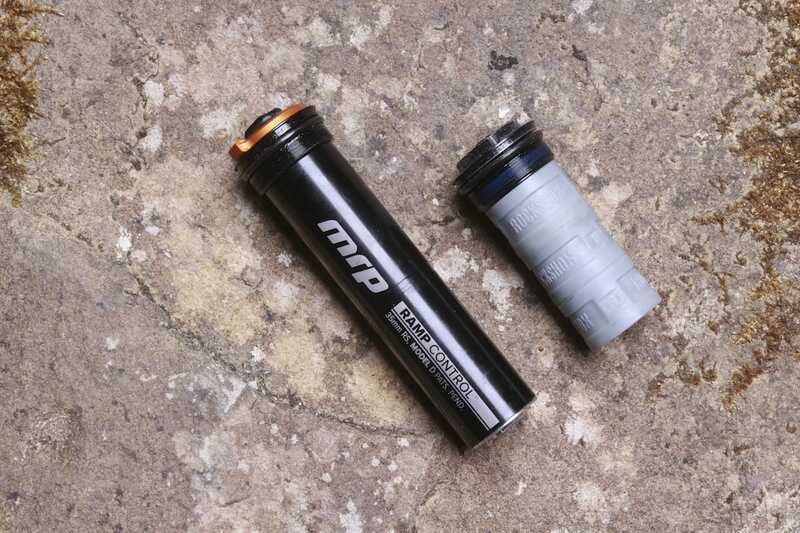 Introduced last year at Eurobike, the Ramp Control Cartridge from MRP is designed to replace the existing Bottomless Token setup in a RockShox Pike, Lyrik, Yari or Boxxer fork. Since debuting the original design, MRP has expanded the range to include a 32mm kit for SID and Reba forks, and now has Ramp Control Cartridges to suit Fox forks (32, 34, 36 and 40 models), as well as X-Fusion 34mm forks. But if the Bottomless Token system works so well, why replace it? 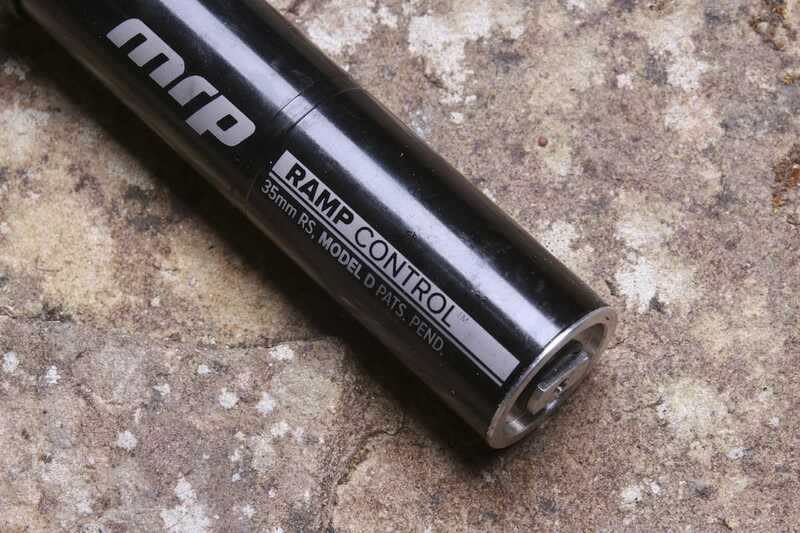 According to MRP, the Ramp Control Cartridge offers both easier on-trail tuning and improved suspension behavior compared to the stock setup. It does this with an externally adjustable dial that features 16 clicks of adjustment. The dial is connected to a one-way air valve that controls the flow rate between your fork’s main air chamber, and the inside of the Ramp Control Cartridge. There’s 16 clicks of adjustment to increase progression. More clicks restricts the valve to create a more progressive feel with more bottom-out support. Fewer clicks opens up the valve to create a more linear feel with less bottom-out support. 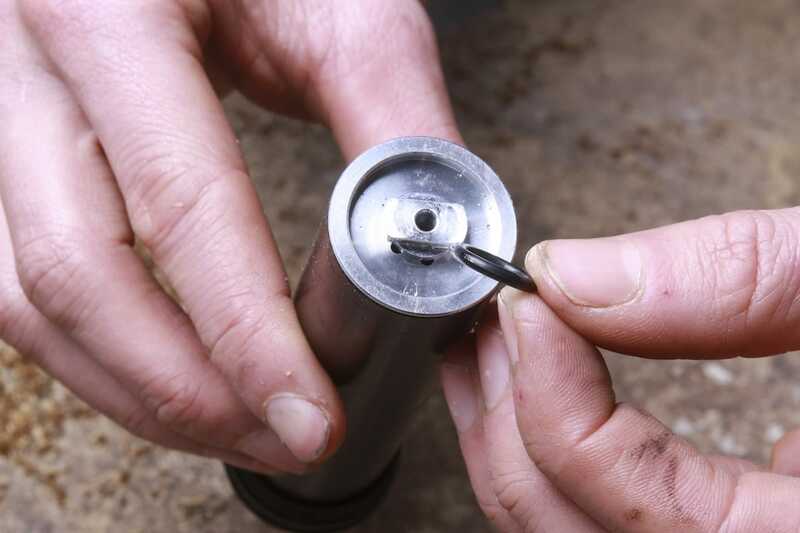 The idea being that you won’t need to bring your shock pump, spare tokens and tools to tune out on the trail. 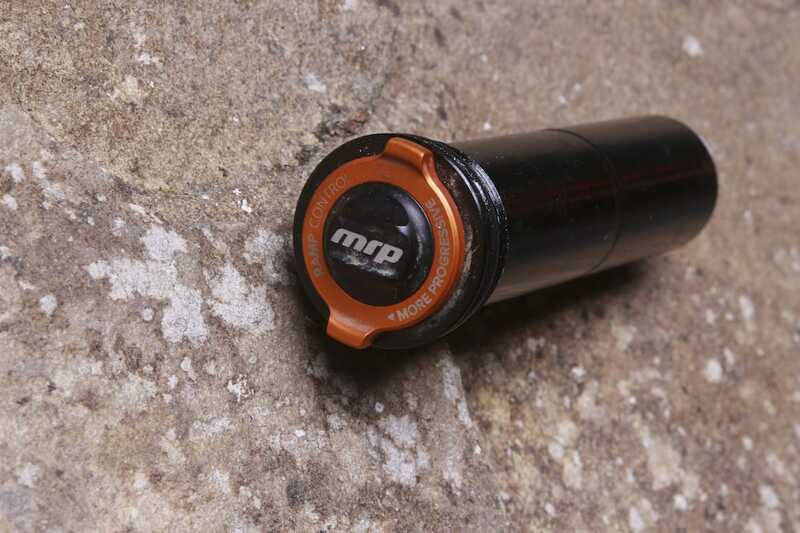 Unlike a Bottomless Token system though (or any other physical volume spacer setup for that matter), this clever one-way air valve also adds speed-sensitive damping, which MRP claims helps you to better separate the end-stroke behaviour from the rest of the fork’s travel. Following the provided instructions, fitting the Ramp Control Cartridge is easy. 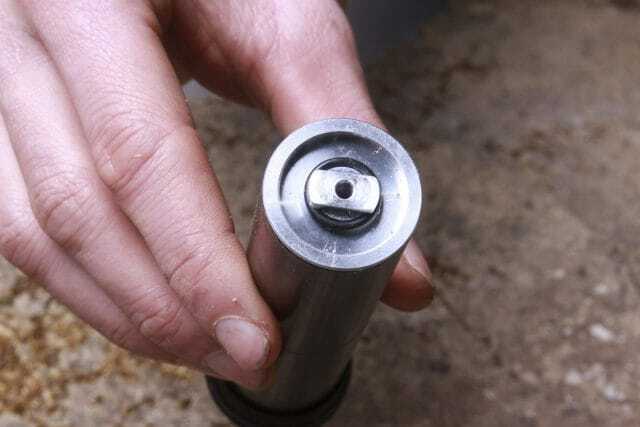 You’ll need to let all the air out of your fork, and remove the existing top cap assembly along with any Bottomless Tokens that are attached to it. 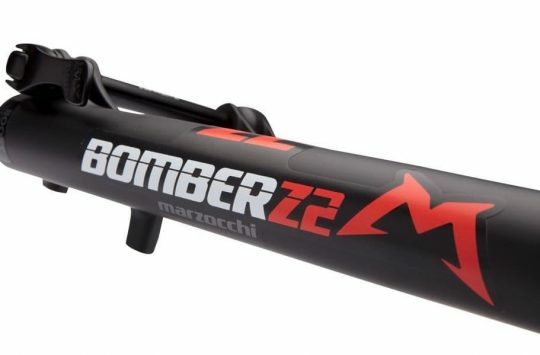 There’s a single air valve for inflating your fork. According to MRP, each click of the RCC dial is like adding 1/4 of a Token. So increasing the RCC by four clicks is kind of like adding one Token, and winding it back eight clicks is like removing two Tokens. With 16 clicks in total, that means you have the ability to simulate up to four Tokens – all via a simple dial and without need to open the fork. What’s important to note first is that even at zero clicks, the RCC obviously still fills up some of the volume inside the air spring. This passive volume is the equivalent to running a single Bottomless Token. So if you’re currently running zero tokens and you really like your suspension how it feels now, you’re probably not going to get the full benefit from the RCC. 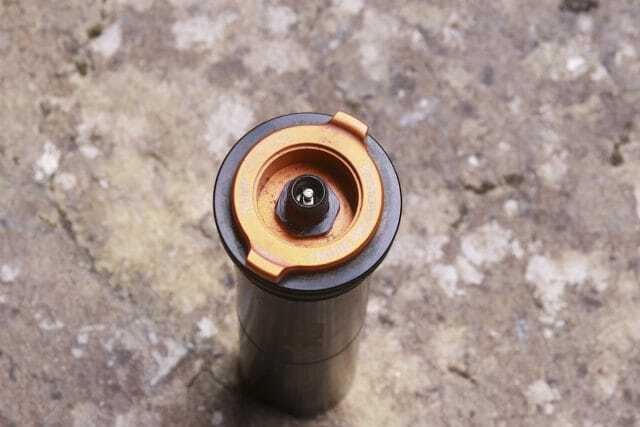 The hole on the underside of the Ramp Control Cartridge is where air from your main air spring enters the cartridge. Air passes through a valve inside the cartridge, and then comes back out via several small holes that are hidden underneath a rubber O-ring. We ended up testing two different RCCs. 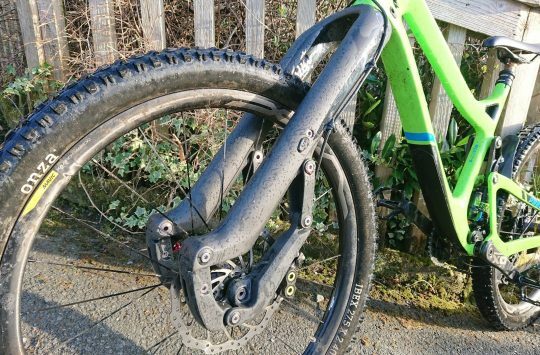 I’ve been testing one on a 130mm RockShox Yari RC fork, and James Vincent has been running one in a 150mm travel Pike RCT3 on his Stanton hardtail, as well as in a 160mm travel Yari RC fork on a Trek Slash. Our experience has been very similar, despite our different riding styles and terrain. For the Yari fork I’ve been using, I’ve previously ran 68psi with three Bottomless Tokens inside to manage my 70kg riding weight. To begin with, I started off with the same air pressure with the RCC, and got playing around with the Ramp Control settings to see how it would affect the ride quality. 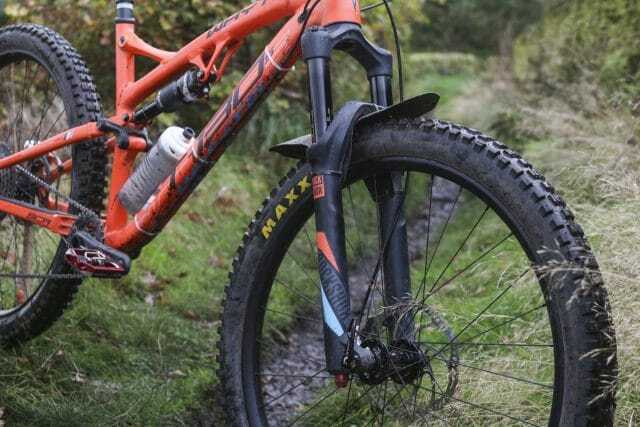 I’ve been testing one in a 130mm travel RockShox Yari RC fork, and we’ve had another cartridge being tested in 150-160mm travel Pike and Yari forks for further feedback. During my first ride with the RCC, I did struggle to get it dialled in properly. I was finding the fork to feel quite divey through the mid-stroke across most of the RCC settings, which isn’t what I expected. Upon further inspection, it turns out that the standard short-body RockShox 35mm RCC kit I had in the 130mm Yari is designed for forks with more than 140mm of travel. So although it fitted and worked to some degree, it wasn’t ideal. In general, shorter travel RockShox forks will come fitted with more spacers, while longer travel forks will come with less spacers. My issue was that the short body cartridge wasn’t taking up enough volume inside the Yari, which was making it feel divey. I spoke with the Ison Distribution’s MRP brand manager, Pat Campbell-Jenner, who suggested I try the long body version, which is purpose built for shorter travel forks. I ended up sending the original cartridge up to James in the Lake District to try out in some bigger forks, and then fitted a replacement long body version to my Yari. There are long and short body versions available – depending on how much travel your fork has. To get my baselines I rode a single descent over and over again, trying out different Ramp Control settings from full open (zero clicks) through to fully closed (16 clicks) to see how the fork behaved at either extreme. Then it was a case of setting the Ramp Control in the middle (eight clicks), and repeating the same run over and over again. With a mixture of choppy slab sections, high-speed bucket-style berms followed by several 3ft drop-offs in quick succession, this little hot lap proved to be an ideal test track. As you’d expect, changing the Ramp Control setting noticeably affected how much travel I could use. With 16 clicks, the restriction on air passing through the internal valve was such that I could never access the last 20mm of travel, with a very firm feel towards the end. Set at zero clicks however, bottom-out came fairly swiftly on those exact same drop-offs. 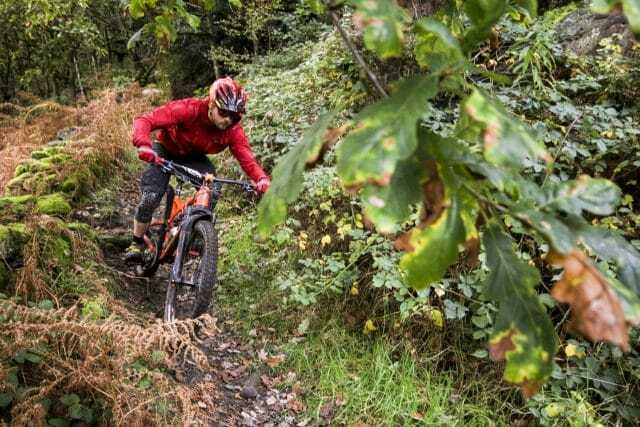 Set in the middle with eight clicks, the Ramp Control provided a predictable balance between the two that meant I could nearly access full travel most of the time, without the fork feeling too sticky or too pillowy. From there I continued to ride the RCC-equipped Yari fork across different trails and varying terrain over the following few months, typically running between 6-8 clicks of Ramp Control, depending on the trails at hand. And herein lies the beauty with the RCC – you can alter the fork’s feel and progression all without having to pull the fork apart to swap around Tokens. With the Ramp Control Cartridge, the Yari was more active in the first 2/3rd of the travel, with better control over the end stroke. As far as compliance is concerned, the RCC does provide a slightly more active feel to the early part of the travel, which I found quite noticeable when I removed it and put the stock Bottomless Token setup back in the fork to compare. The reason behind this slight increase in small-bump sensitivity is to do with the RCC’s effect on dynamic volume. At slower speeds, where the valve is more open, you’re riding with a nice, large volume air spring that makes everything feel supple and smooth. When you start encountering high speed bumps however, the air valve restricts air flow through the RCC, which effectively shrinks the air volume to increase progression. In this sense, you have an air spring that increases its support as the hits get faster and harder, and all while offering better small-bump sensitivity. 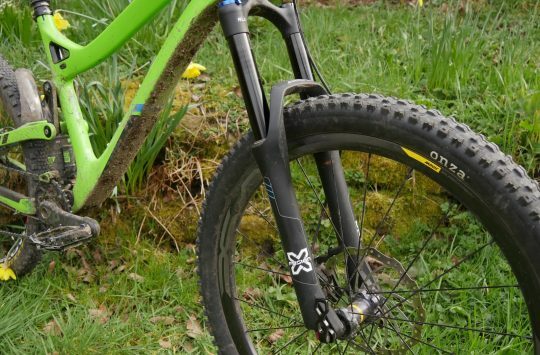 A very clever, yet simple to adjust cartridge that offers new on-trail adjustability for altering your fork’s progression. It won’t suit you if you’re a set-and-forget rider that is perfectly happy with your existing fork, but for the fettlers out there who regularly change bar height, tyre pressure and damper settings for different trails and terrain, the MRP Ramp Control Cartridge offers even more to play with. Is This Roval's Strongest Carbon Wheel Yet? We Test & Review The Roval Traverse SL Fattie Carbon Wheelset. Superb bit of kit ain’t it! Have been on MRP forks since they introduced the Stage a few years ago, this feature has come on all their own forks since. Have also used it on a Lyrik too where my findings echoed yours above. How long before MRP have a redundant product because the original manufacturers of the fork do something similar out of the box?